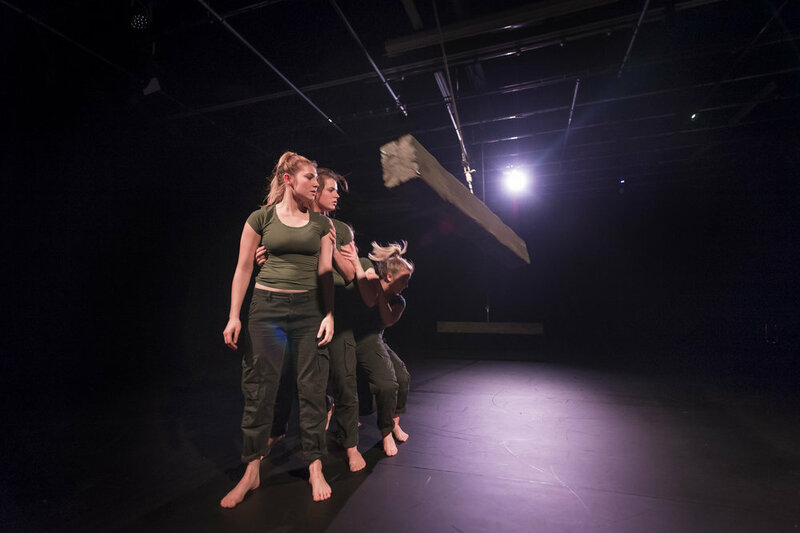 Collaborating since April 2017, Near Miss Company is a trio consisting of sound artist and musician Lee Allatson; director and choreographer Shannon Coote and producer/performer Louisa Robey. We also work with local artists who collaborate with us and often perform in our works. 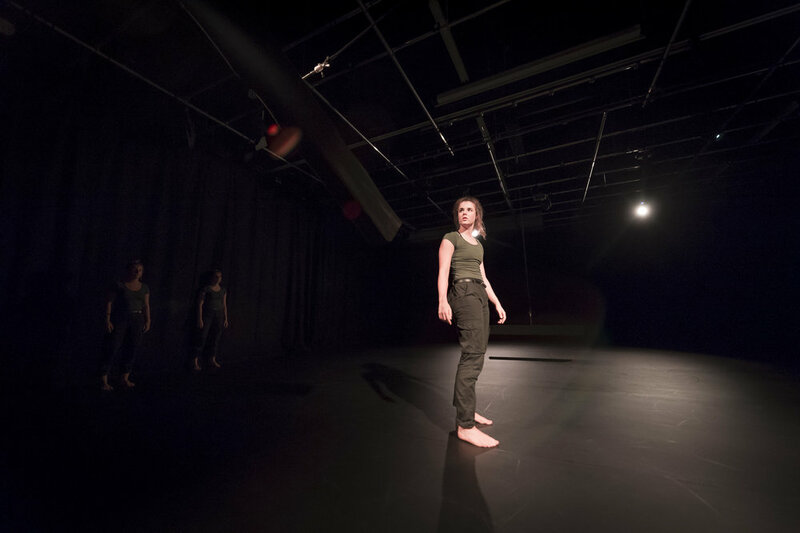 As a company, we’re interested in exploring notions of risk and the tensions this can create for both performer and audience. 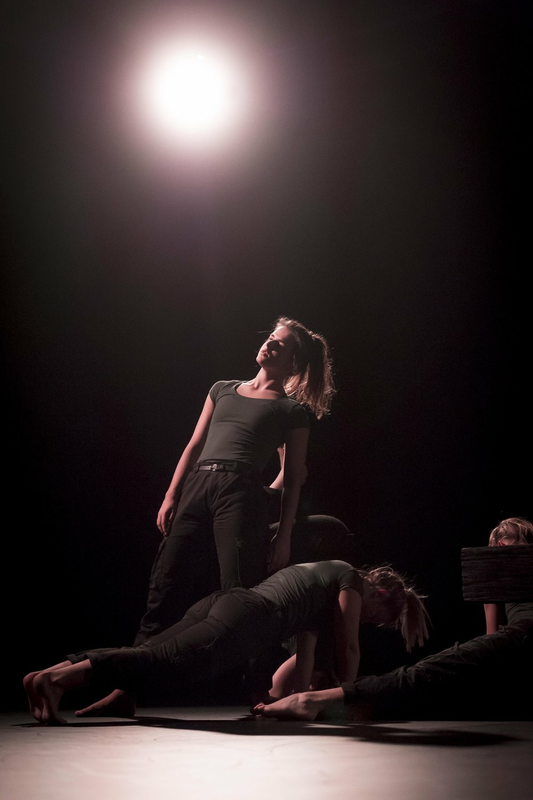 Exploring these avenues choreographically as well as the relationship between improvised movement and sound has also illuminated narratives of women adopting strong positions and roles, whilst also displacing stereotypes of femininity within dance and performance. Can we improvise and adapt? Do we change our position or stand our ground? Near Miss explores notions of risk-taking as performers solve real physical problems within this live, improvised performance. Humans adopt specific, yet unspoken rules for maintaining appropriate distance, whether intimate or social; personal or public. 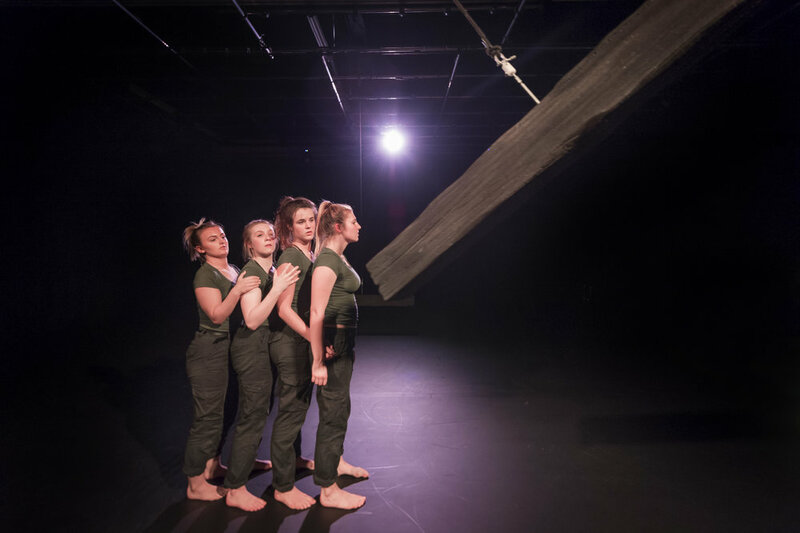 Five performers fight for territory in a space dominated by two suspended wooden beams. These are swung, manipulated, spun and dodged by the performers as they negotiate a series of movement and score based games, challenging to dominate or to support one another. The live improvised soundtrack reflects attrition and stasis in real time, mimicking performers and action characteristics of the beams.